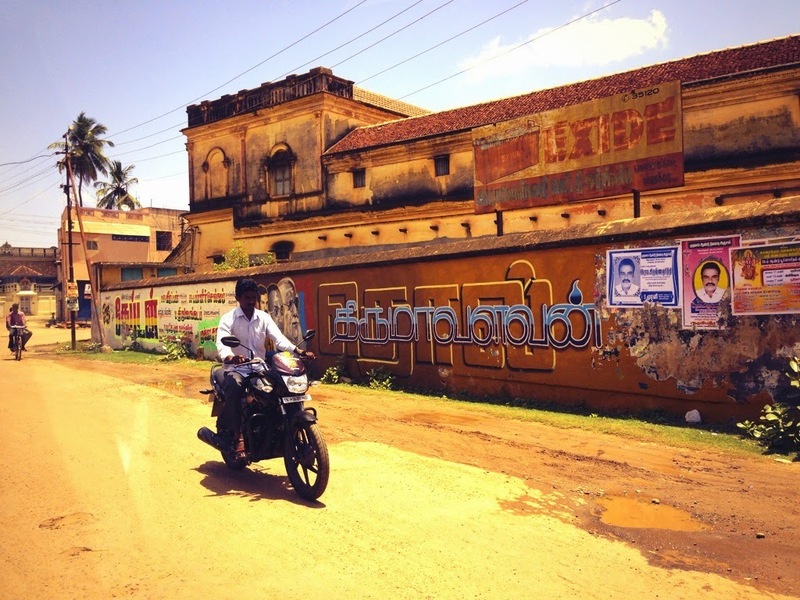 Unforgivingly hot and arid, Karaikudi is a museum of a town in the plains of interior Tamil Nadu . This is the land of the Nagarathar, the mercantile bankers and traders also known as the Nattukottai Chettiars. The Chettinad region encompasses several villages in Karaikudi and the nearby town of Devakottai. Ornate and opulent mansions, most of which are uninhabited, line their streets. They are relics of another era, an age of prosperity and large joint families, when the Nagarathar reaped enormous profits from salt trading and banking. They were also philanthropists, industrialists and educationists, setting up many institutions of note in Tamil Nadu. The nationalisation of banks in the 1960s hurt their business and Chettiars were forced to emigrate in search of greener pastures. While visiting, avoid the peak summer months and the monsoon, so you are assured of a comfortable holiday. Here are four essential experiences to make your visit fulfilling. Chettinad mansions are icons of the customs and traditions of the Nagarathar , with collections of art, glassware and keepsakes that this globetrotting community collected on its travels around the world. With architectural and decorative features including solid wooden pillars, ornately carved doors, Chinese ceramics, Belgian chandeliers and Italian stained-glass windows, the mansions are easily mistaken for palaces. They are in fact colossal family homes. Time was when families comprising several generations lived here and voices rang in the pillared hallways. Today, these colossal family homes, some with 30-odd rooms teeming with curios and bric-à-brac, old framed photographs and heirlooms, play host to lonely caretakers aching for conversation. They are quiet and forlorn, but for the cooing of pigeons and the chitter of sparrows. Come festive occasions, weddings and other large family get-togethers, and they thrum with activity as families commune. In their heyday, during the 1900s to the 1950s, the Nagarathar lived like nobility and were renowned for their philanthropy and hospitality. Arguably the best steward of impeccable Chettiar hospitality is The Bangala in Senjai on Devakottai Road. 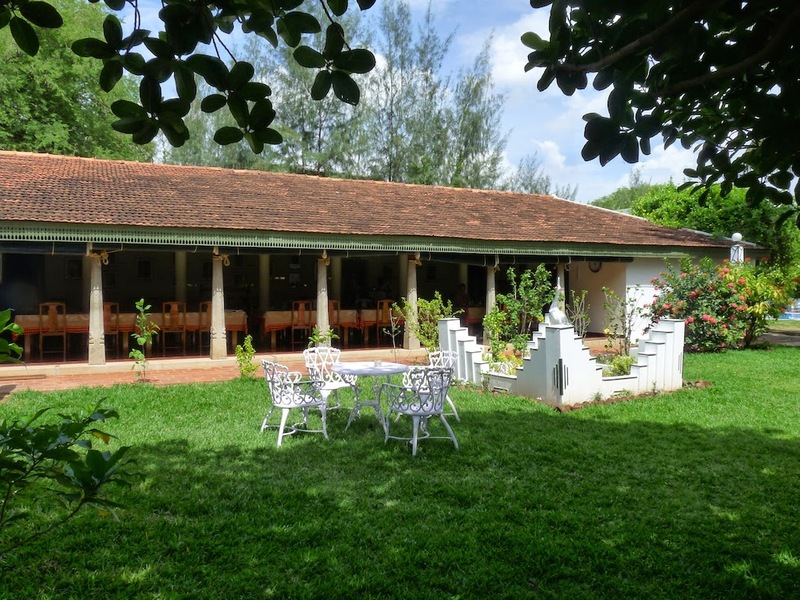 Originally built as a club and dining room for guests of the family, it was later repurposed into a heritage hotel. From heritage to cuisine and culture tours, The Bangala offers them all. A stay here is highly recommended. Cuisine is the soul of Chettinad. With rich notes of pepper (grown in family-owned estates in Karnataka), it is spicy without being fiery. From breakfast to dinner, Chettinad meals are served on plantain leaves with a never-ending train of courses. 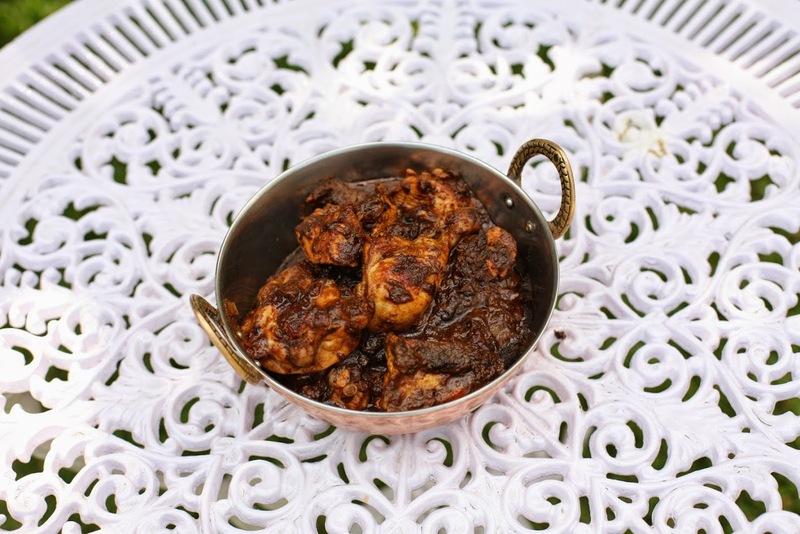 One of the signature dishes of the region is Chicken Chettinad, which has been maligned beyond reputation in menus all over India . Rediscover it here in all its authenticity, and learn to cook it too. – See more at: http://thelabel.in/travel/india/4-essential-chettinad-experiences-you-must-try-out? 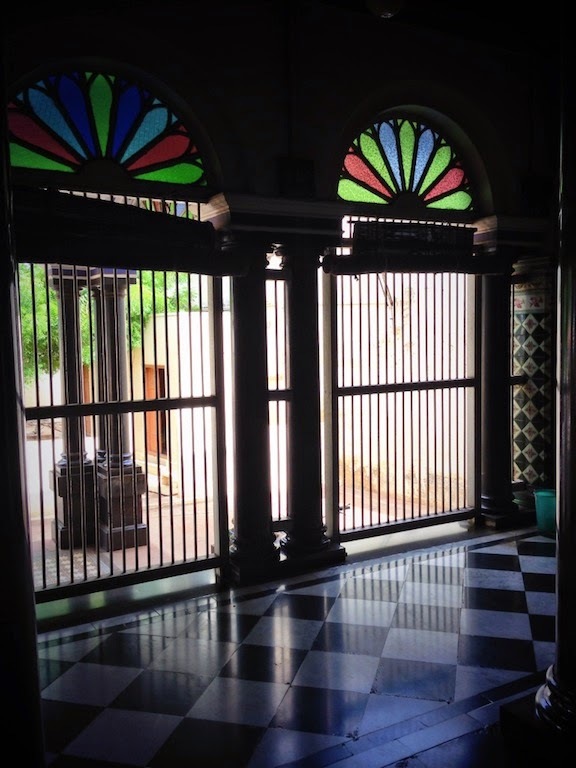 Among the most striking features of a Chettinad mansion are the floors made of colourful handcrafted tiles in exquisite designs and patterns. These Athangudi tiles, the pride of the region, are named after a small village. They are among Chettinad’s many cultural exports . 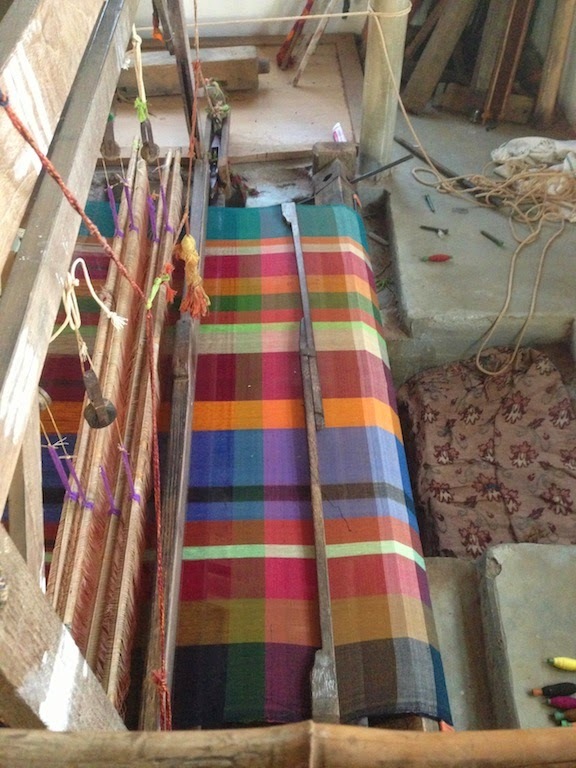 A visit to Athangudi unveils the magic of their creation, blending European designs and Chinese techniques gleaned by the Nagarathar on their travels. The secret sauce? A square of glass, locally available red sand and the touch of the artisan. 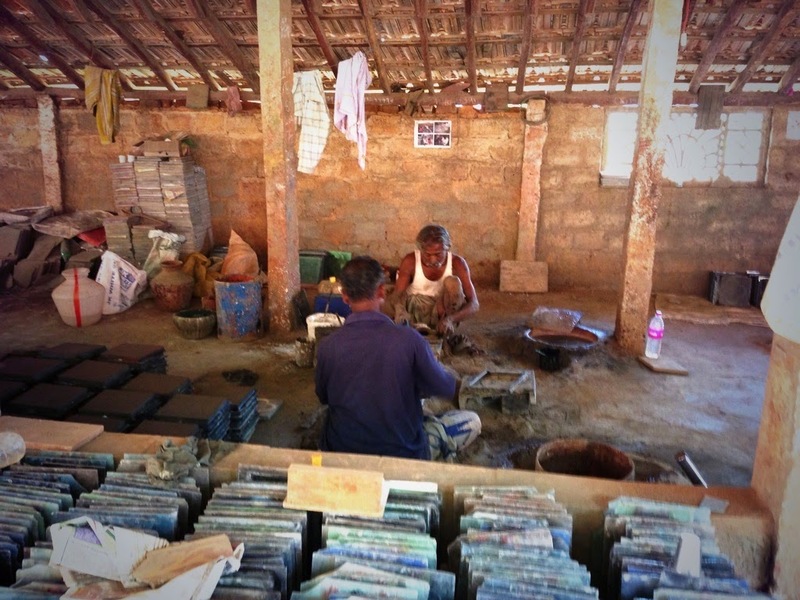 Each Athangudi tile is handmade, making it a work of art. Despite its high price tag, it is prized by builders and architects who value its aesthetics and cultural essence. Handcrafted tiles? That’s a first for me. Totally. Each piece is a work of art. Of course, they do follow patterns and templates but it remains that each tile has to be hand-finished individually. Great to watch. You must go and see.